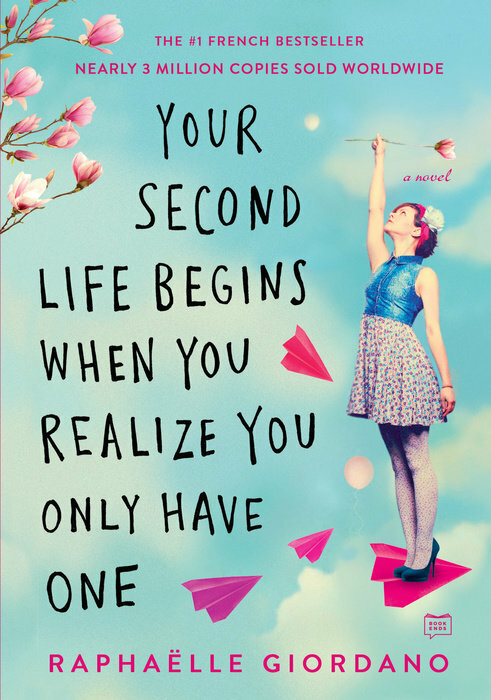 Get a copy of this book, "Your second life begins when you realize you only have one" by Raphaëlle Giordano and think a little deeper on the little things you can change to live fuller and happier. This is a wonderful book that has strategies we can adapt for the betterment of our lives after all we only have one life to live. The story set in Paris starts off with Camille's car hitting something in the middle of a rainy night. She loses her cellphone and GPS signal and goes to search for help. She finds a gated home in an empty wooded area, where she met Claude, who she vented her frustrations to. He told about his practice of helping those who suffer from the syndrome of routinology where people feel empty and suffer from not feeling good despite having everything they needed to be happy. Camille is a 38 year old married women with an energetic ten year old son. She works part time and doesn't really feel appreciated by anyone or happy with herself. She was criticized by her mother and her father left when she was young. She along with her husband have become busy with their routine life and have not paid attention to their relationship. Relationships grow with smile, support, and tenderness. Create spark in a relationship by taking initiative. Getting out of vicious circles during an argument by recognizing what is going on and stopping it by following the FEET method; telling the facts that upsets you, express emotion, encourage, and truce win-win solution for both. Self confidence is the greatest asset not body size. More confidence you have in who you are, less people can hurt you. Having role models and taking a look at their good qualities, how they have become successful, studying their lives by reading their biographies. Positive attitude helps to stay aligned and in harmony with self and world. Getting rid of inner negativities such as laziness, tiredness, and discouragement. Spring cleaning inside and outside by getting rid of negative thoughts and focusing on pleasant sights, recording good moments, and making funny faces. Cleaning on the outside by getting rid of things that are not used. Remembering three encouraging things before going to sleep. Our words give off vibes. Finding time for a few "moments of gratitude" and getting in touch with nature is comforting. Paying attention to diet by adding spices. Reconnecting with inner child by playing and being creative. Sincere smiling produces a chain reaction to create up to five hundred smiles in just one day. This benefits our brain and body. Smiling naturally or not reduces effects of stress on our body as brain interprets the smile as a sign of good humour and sends out calming hormones. Inner smile brings inner peace spiritually and boosts energy and has healing powers. "See the mud at the bottom of the pond; others gaze at the lotus flower floating on the surface. The choice is yours" page 125 of this book. The SMART method to have Specific goals, Measurable for example deciding on how many pounds to lose if the goal is about body weight, Attainable to achieve, Realistic, and Timely to have a deadline. When feeling stressed be like a cat. Taking daily chores less seriously. We can't change external events, but we can change the way we react to these. Not let yourself be influenced by the opinions of those around you. Even those who love you can project fears and doubts. Forgiveness does not change the past, but it does enlarge the future making us feel light. When the author was asked why this story appeals to everyone all over the world. She says, "we place value on material things, but if that is all we are working for it becomes demoralizing… It is important to take time to find ourselves because it gives life meaning… We have to create our own definitions of success and happiness… ordinary people who really touch lives of others… goals that are less material and more spiritual." "Great joys come from heaven, little joys from effort" Chinese proverb. The author who is also a personal developmental expert, artist, and certified psychologist shares the strategies her characters used in the end of the book. There is a conversation with the author in which we get to know the author's background and her strategies. There is a discussion guide to make us reflect on the reading. This book helps us pay attention to our values, the way we look at life, and what is going around us. 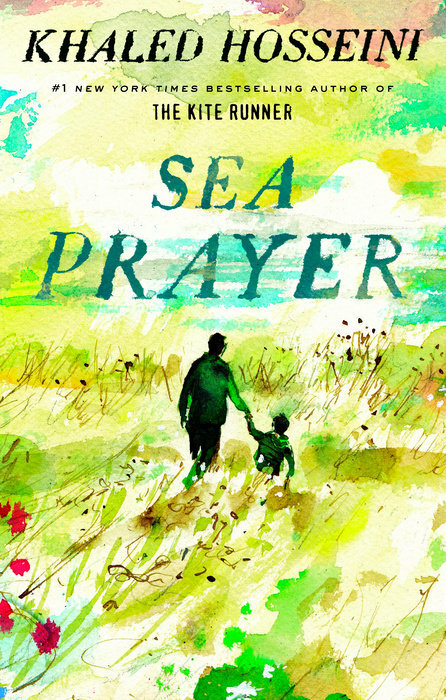 Sea prayer by Khaled Hosseini is a children's book that has lovely paintings to capture the well delivered story of a father telling his son Marwan about his time growing up in Homs, Syria while sitting in the beach at night with other refugees. He tells his sleeping son of his fond memories of how peaceful his grandfather's farmhouse was, what he did as a boy, how bustling the old city looked, and how that life has now become a dream of the past in the war torn country. This story inspired by the true story of Alan Kurdi and 4176 people who have died or have gone missing during these types of journeys looking for refuge. The simple words makes children and adults understand the hardship of those who fled across the ocean in boats to reach safety in Europe. The heartbreaking story tells how the father cannot protect his son except to pray for their safety. 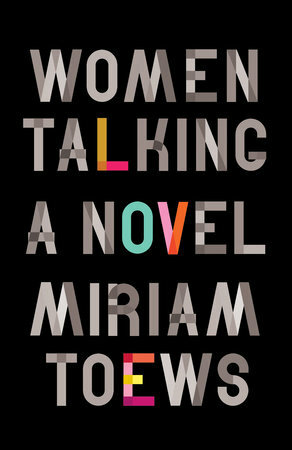 I also read the Women Talking by Miriam Toews. The story is about a secret meeting of Mennonite women, deciding how to deal with the recent assaults they've experienced by men by either choosing to leave or staying and fighting. I didn't enjoy this book because it is more of a conversation between the women that a learned man is taking notes of. I did learn a little about the lifestyles of Mennonite people. 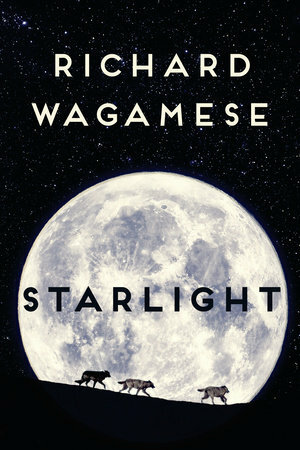 Starlight by Richard Wagamese Frank a profoundly moving novel about the redemptive power of love, mercy, compassion, and the land's ability to heal us. This is a wonderful story about Starlight, a Indigenous man with wounds of his own settled into a quiet life working his remote farm, but his contemplative existence comes to an end with the arrival of Emmy, who has committed a desperate act so she and her daughter can escape a harrowing life of violence. Starlight takes in Emmy and Winnie to help them get back on their feet, and this accidental family eventually grows into a real one. But Emmy's abusive ex isn't content to just let her go. He wants revenge and is determined to hunt her down. These books sound very uplifting. I'm very interested in reading them. They all look like really good reads. Women Talking is one I would probably read first. I would like to read Your second life begins when you realize you only have one. So many books I want to read, and you just added more! I'll be putting these on my to read list! Oh my gosh these books sound so good. My interest is piqued and would love to read the Sea Prayer for starters. The first book sounds really good and one that I would enjoy reading! These sounds like interesting reads,thanks for sharing! I enjoy Miriam Toews' books. Thanks for the review. I'll be adding these to my Good Reads list! I have not heard of these books before, they sound very inspirational. I will have to check them out, thank you. These sound like books that would really make me think about my attitudes and how I live my life, and about how my experience of life is similar and different from others. Miriam Toews' books are fascinating! I would love to read Sea Prayer too because I red the Kite Flyer and loved it too! Such inspiring life tips. We each need to take some more time to think about these & put them into actions every day. Would love to read the first book.